9 Out of 10 Cats With Opposable Thumbs Prefer Facebook! I saw this video on Phil’s Unionversity website yesterday and was blown away by this guys voice, the voice just doesn’t go with what you’re seeing, he’s amazing! Drugs and alcohol have taken their toll on his life and he’s fallen on hard times, but the social web has shown it’s a force for good again, as within a day or so of this video being posted on YouTube, it’s received almost 10million views and has lead to radio stations fighting over him, we’ll undoubtedly see or hear more from Ted Williams in the near future. The second video is an interview with him on the Early Show, warning, it will choke you up, but do watch it. 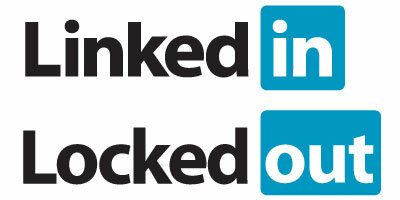 Linked In or Locked Out? I’m not a regular user of Linked in, but I decided to update my profile a couple of days ago and use the service to see if I could find some old contacts I’ve not been in touch with for ages by importing my various address books, 5 minutes later I had 300 plus recommendations, but a large chunk of these were people I’m never likely to interactive with again, so I opted to filter out the noise and only chose those I’m likely to contact in the future. While trawling through the list and clicking on various contacts I was intrigued how some unlikely connections started to appear between friends, work colleagues and business associates that I would have never thought likely, crossing business sectors, industries and even continents. But when I clicked on some contacts I found their contacts were hidden from view… this is something I can’t fathom, why hide your contacts? the name of the service is a bit of a give away, doesn’t it tell you something, it’s all about being “linked in”… is there some sort of competitive advantage to hiding your contacts? unlikely, as personally I think it could work against you, as by not seeing your contacts I’m less likely to build a good picture of who you really are and who your business associates are… as they say, you can a tell a person by the company they keep. Is it a privacy thing? are you trying to stop me getting spam and requests from unwanted contacts? If so, why bother, I’m more than capable of ignoring requests and filtering linked in emails. Actually I think it’s a more fundamental than that, I don’t wish to offend anyone by saying this, but I believe it’s something to do with age, (I’m no spring chicken myself I should add), let me explain. If I take a look family and friends in the age range of 35-50, myself included, I get averages of 190 friends and 163 photos, quite a marked difference. And this isn’t just a Facebook phenomenon, it’s happens across all social networks, is it because the younger generation are more social, or that they’re using and relying on these systems more, partly yes, but it’s also a markedly different take on privacy, they’ve accepted and in some way embraced the fact that privacy isn’t something you have or something they should concern themselves with in this digital age, it’s not their problem. The more places they have their name, email, age, location, likes, dislikes plastered across the digital domain, the easier life become, choices and recommendations are made for them, friends and families have no problem finding them (they never lose touch in the first place), searching and finding things becomes easier, there’s so much on tap that they spend most of their time filtering what’s pushed at them rather than looking for new things, but again that filtering is done for them the more personal information they put out there, the better the filters work. Firefox announced a few days ago how it’s hoping websites will honour it’s users wishes who switch on their new “Don’t track me” feature in their preferences, hoping to avoid advertisers and online retailers from targeting them and building personalised demographics. This is unlikely to work as it requires the retailers to opt in to the users that opt out, most won’t. To an older demographic this may sound horrific, they’re giving away too much freedom, we have to stop this happening, it’s as if 1984 is coming to fruition! but hang on a minute, these guys weren’t even born in 1984! I read all the time bloggers bemoaning the loss of privacy, how we have information overload with too many choices, so we graze snippets of information, rather than sit down for a big meal, that transient use of social networks aren’t an adequate replacement for deeper more substantial real world interactions. I’ve been known to say that a measure of a real vs virtual friend is someone you know you can ask for £50 and they have no problem dipping into their pocket to help you out, try doing that with a 1,000 Facebook friends or Twitter followers, although not impossible. But what about identity theft? The onus is shifting, it’s down to the banks to come up with more secure ways to protect our money and assets, as they’re liable, using a password, my date of birth or my mothers maiden name is no longer an adequate way to identify me, this information can be easily tapped online, often in the one place, take Facebook as a perfect example, your birthday is likely displayed, if not references and pictures of your birthday will be there… mothers maiden name? again you if you’re linked to your mother, she will likely use her married name, but your uncle (her brother) will be linked to her, plus if she divorced or wants old school friends to track her down, she likely has her maiden name displayed on her profile. As the recent Wikileaks scandal has highlighted, privacy is dead, once you transpose something digitally, no matter how personal, off the record or secret you think it is, it’s public. Upload something to a website or a blog, then have second thoughts and delete it, you need to accept it’s not really gone, it’s still sitting on a server somewhere and Google is likely caching it too (and yes it will still appear in a search).